Molineux is the stadium of Wolverhampton Wanderers who became the latest side that the mighty Brighton & Hove Albion batted aside on their way to the Championship title this season. Well, OK… promotion at least. We’re not there yet but we could be, as early as Monday. I have given up trying to take decent action shots of games, which is impossible a) from the crowd b) with an everyday camera and c) when you care about the result. 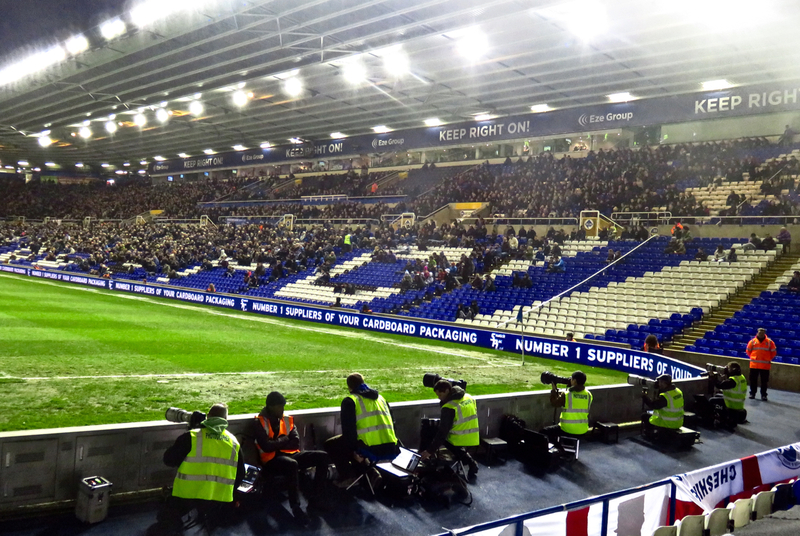 So here is one taken just before things got started with the 5pm kick off (thank you, Sky Sports). 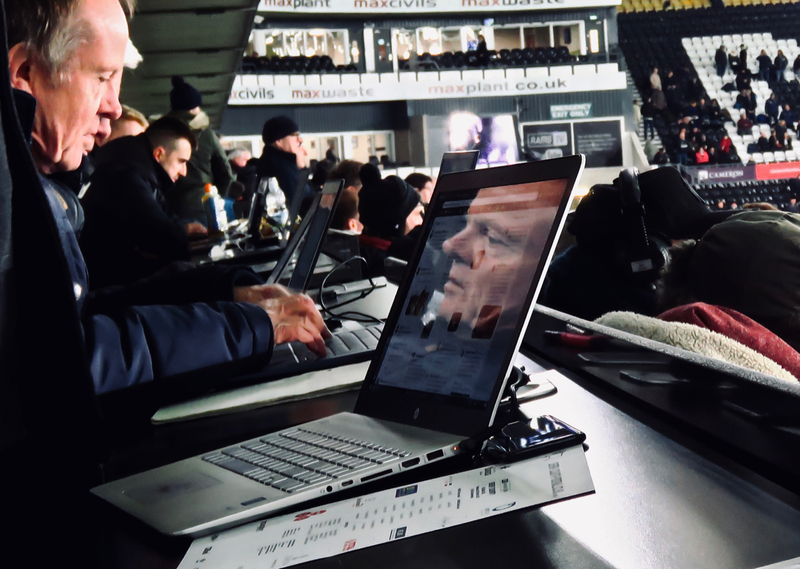 Of course it would be better if all the lines were straight, but as with other elements of sports photography — it really doesn’t help if you’re confined to one particular seat all evening. 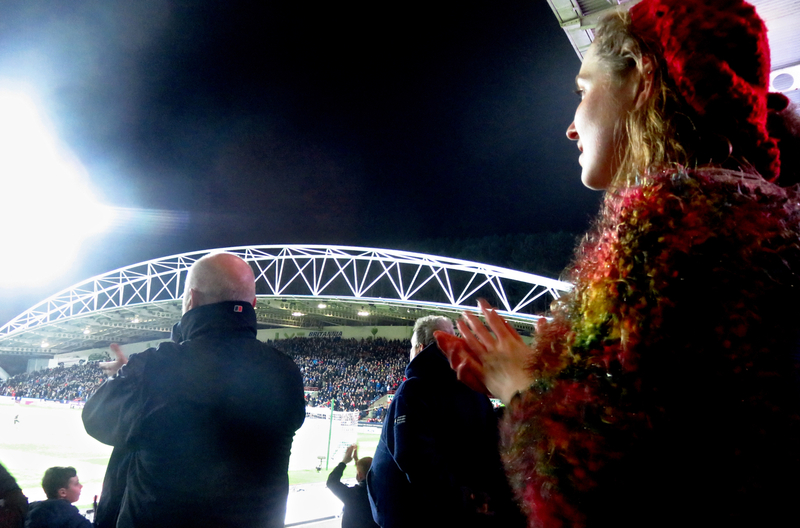 Evening game at the John Smith’s stadium, Huddersfield — but let’s not talk about it past this point. 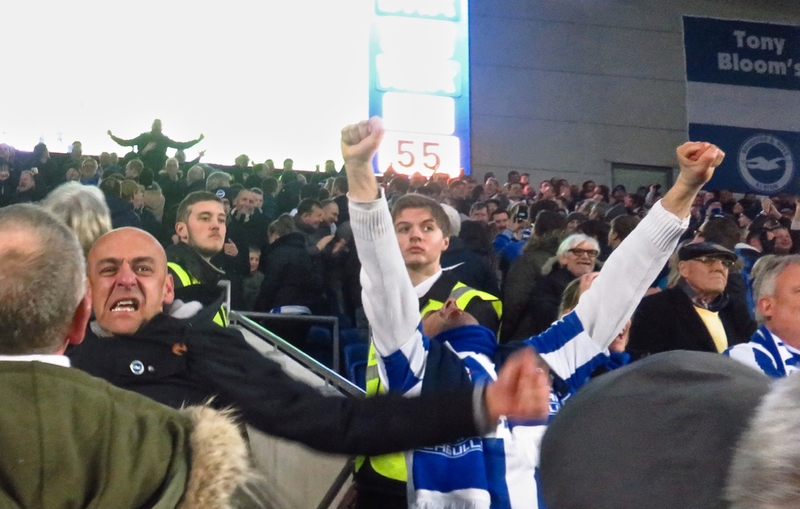 Suffice to say that only here, when the teams were coming out, did we Brighton fans feel particularly optimistic. 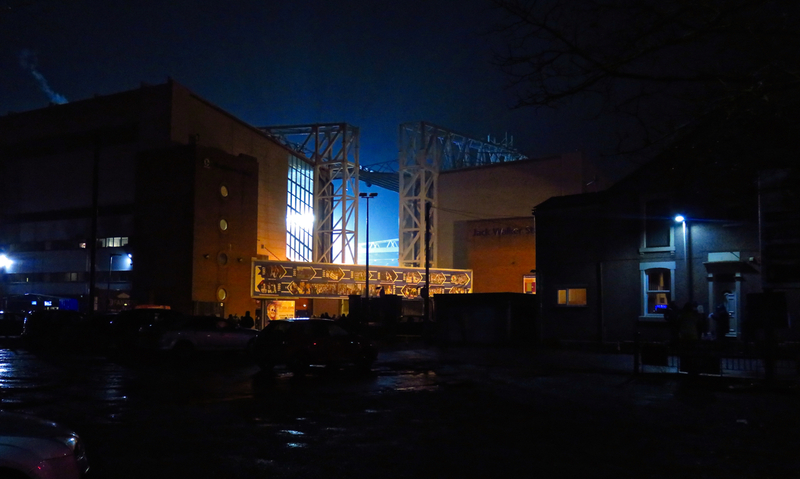 Whatever happens to football, and/or to my club, I hope I never lose the simple enjoyment of just going to a match, and that moment of excitement as you see the ground ahead; particularly for night matches when the floodlights pour illumination onto the as-yet-unseen pitch. I’ve posted before about how Ewood Park, Blackburn is a good, old-school ground (one of only three used in the first ever football league season in 1888 that is still used today — trivia fans may note that the other two have also appeared on this blog over the last five years); I like the terraced house which gets into this shot on the right. That’s three seasons in a row that the ground’s appeared on here but if our clubs keep going in the direction they are doing, it won’t be on again for a while. Blackburn Rovers 2, Brighton & Hove Albion 3. We are top of the Championship tonight…. they are at the other end of the table. 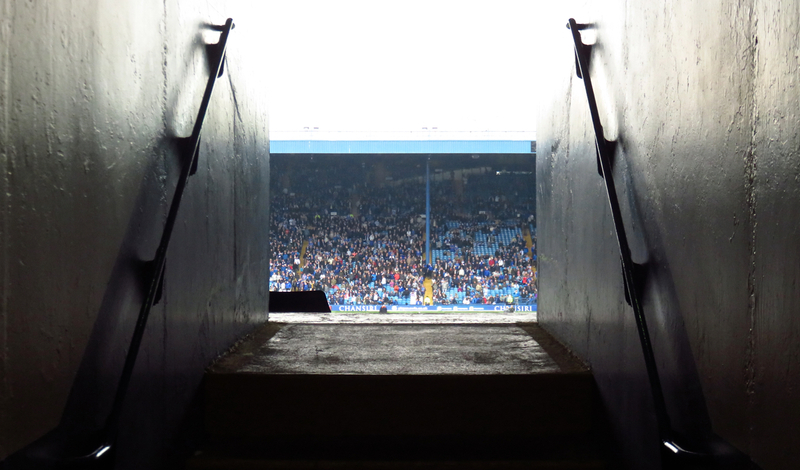 Hillsborough, home of Sheffield Wednesday FC, is undoubtedly a grand football stadium, but I don’t like it and never will. It’s miles away from the city, primitive in terms of the amenities offered and I’ve had some bad experiences there. This on top of the events of April 1989 when 96 people were killed there due to police incompetence (not to mention the subsequent — but now thankfully ended — 27-year establishment cover-up). But at least we, that is, Brighton & Hove Albion FC, won there today, 2-1. Go Seagulls. 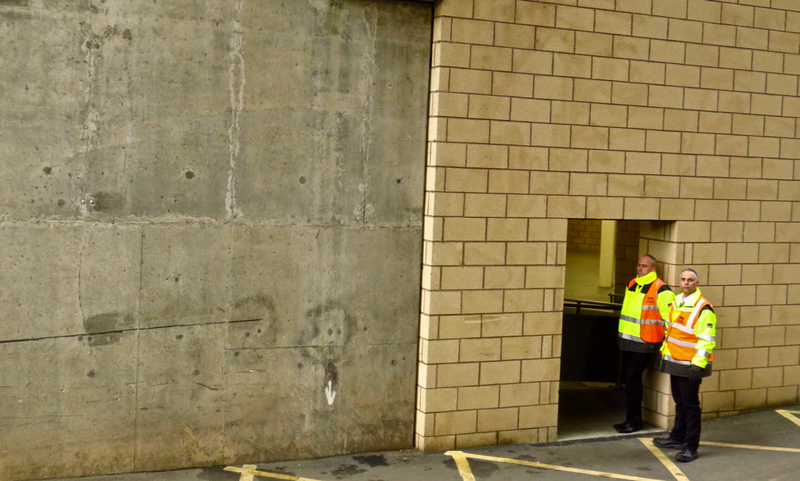 I like the symmetry of this shot of the entry gangway to the away end, but yes, it would be better if it wasn’t for that dark intrusion, the top of a seat I think. 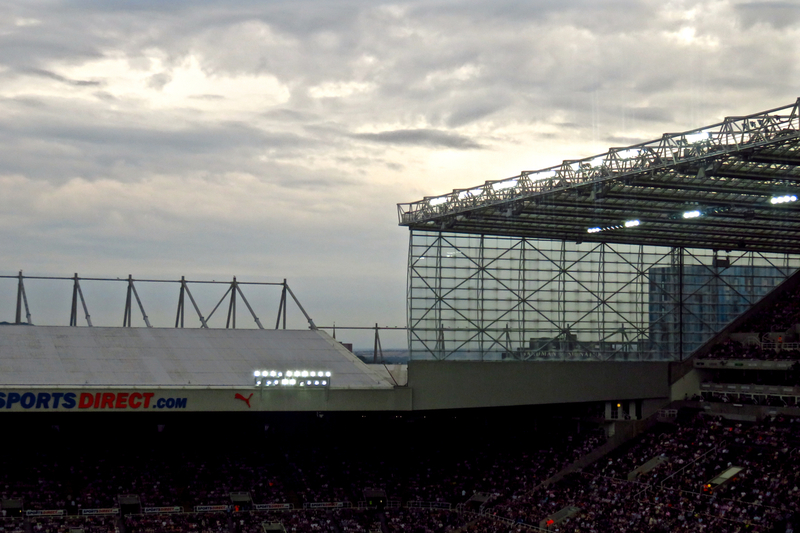 St. James’ Park, Newcastle, is the greatest, and certainly the largest, true city-centre football stadium in England. Capacity over 50,000, and all ten minutes’ walk from the train station — well, 10 minutes to the bottom of the main stand anyway. 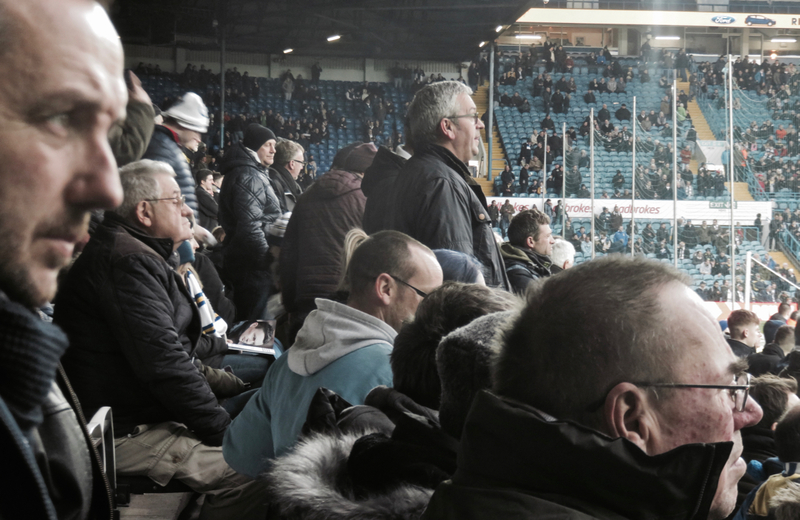 If you are an away fan you then have about another 10 minutes’ climbing of stairs to negotiate: I don’t think I’ve ever been so high up in the air watching a football match before. Good views therefore; better than anything we endured on the pitch today, a poor performance (Newcastle United 2, Brighton and Hove Albion 0). Hard to know what to say about this one. 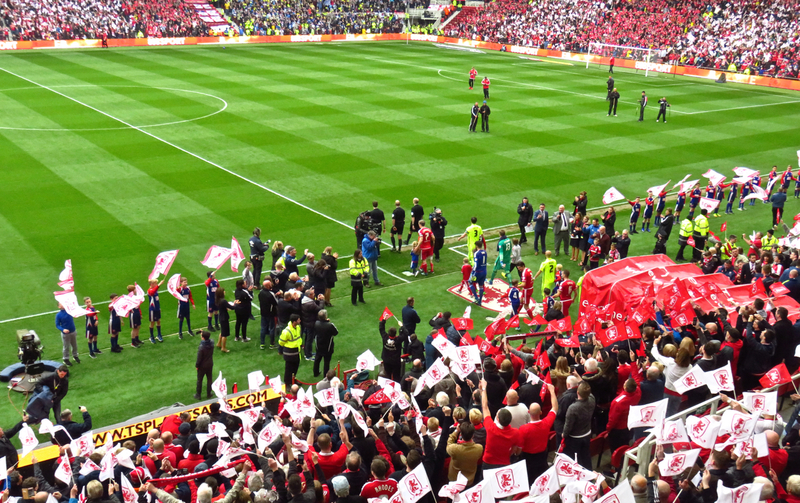 On the one hand, it was an incredible experience to be present today at Middlesbrough v. Brighton and Hove Albion, touted as one of the richest single games of football ever played, and certainly the richest ever played by my lot — £170m was the quoted purse, the prize for the victor being promotion to the Premier League and next season’s big fat TV money payout. If it finished a draw, Middlesbrough would be the ones going up. The atmosphere today was intense, until the very last seconds there was all to play for, and it was amazing that I and Joe were both there. On the other hand, we lost. Actually we didn’t lose (the result was 1-1) — but of course, in the way that matters, we did.